Over here at Lark & Ives, we're big on DIY-ing things for our workspace. Since we have so many pens and tools lying around, we really just needed a perfect pen holder that could also pin our things to do on. After a quick visit to the dollar store, we had the perfect things for our DIY Pin-able Pen Holder. I wanted a nice clean look so I was planning on painting the boxes totally white. But, after one coat the wood grain showed through the white just enough to give it a lovely white wood look. So, I only actually painted one coat! Alternatively you could buy boxes that are already white or paint them whatever colour matches your desk’s decor. Once the paint is dry it’s time to add the cork! To measure the cork simply lay the box on it’s side on top of the cork and run a pen or exact knife around the sides. Then cut where you made the marks. 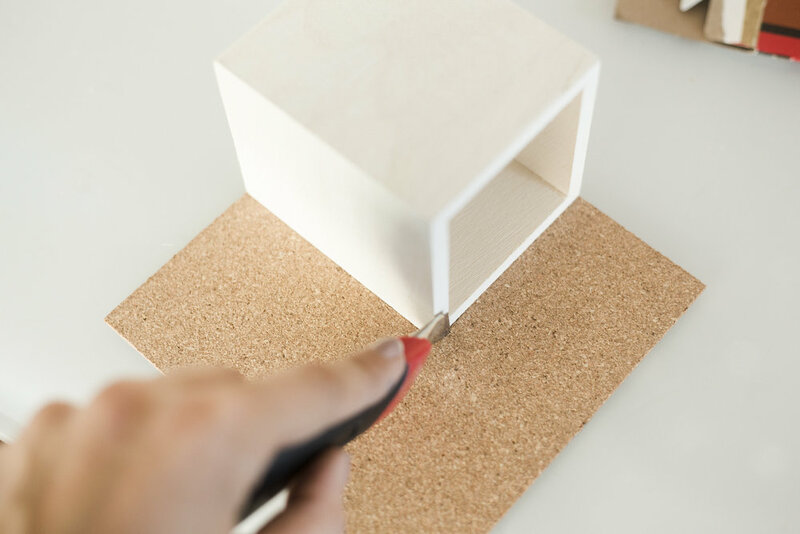 Spread a fairly generous layer of white glue over the side of the box you want the cork on. Make sure it’s all the way to the edges and place the cork on top. I added two layers of cork because the cork I found was a little thin. After I assembled both cork pen holders I placed them under a heavy book to make sure the edges of the cork stuck. I left it like this overnight but it really only needs a couple hours to dry before it is finished! I love how versatile this little diy is! You can place it on your desk, bookshelf, kitchen counter, or night stand. 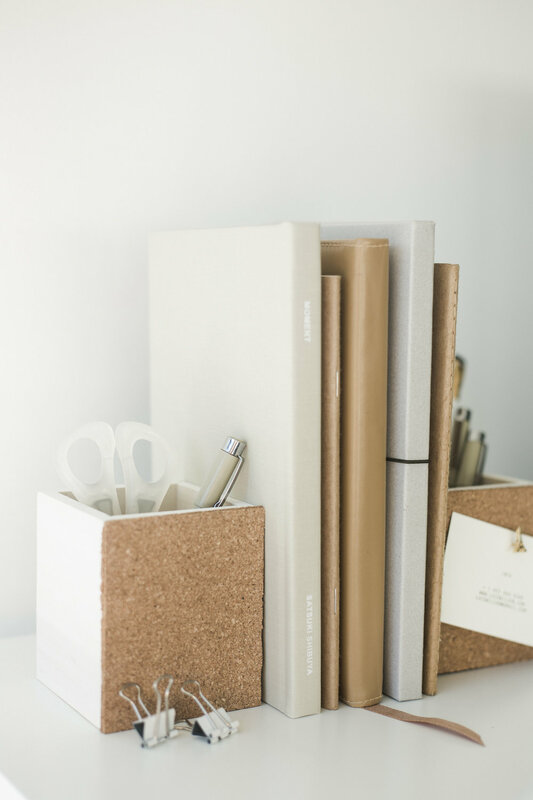 And, you can use it for reminders, a mini mood board, a bookend, a pen holder, or even a plant! 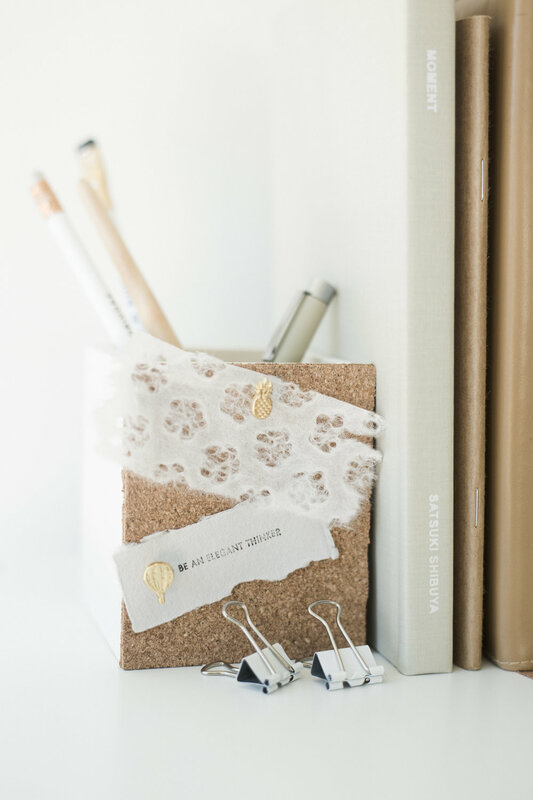 Hope you loved this super cute DIY pin-able pen holder!